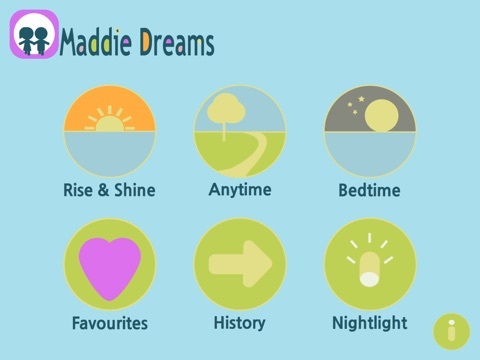 Maddie Dreams is a mindfulness meditation app for kids, made with a kid! Maddie's voice leads young children (4 to 12) through a series of meditations crafted for morning, afternoon and bedtime practices. 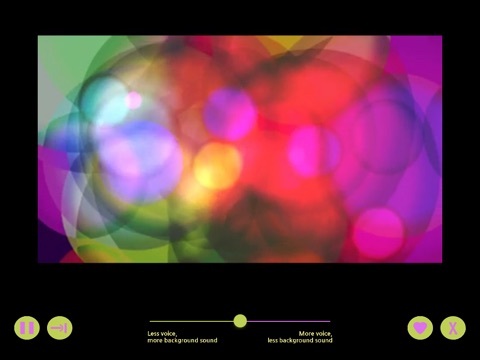 It even includes a nightlight - waves of colour to help your little one relax. Kids can choose one of 15 pre-set meditation with words, music and video - none longer than 4 minutes. They can also set a timer to meditate for longer periods of time, and choose their own music and video to accompany them, when they are ready! Kids can do this alongside their parents, or on their own. We hope that these simple, easy and fun meditations encourage children of all ages to pay attention to how they are feeling, and focus inward in a world of constant distraction. 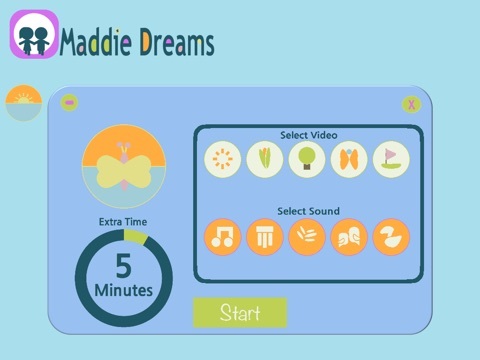 Maddie Dreams is a real "kitchen-table" app, made by a mom and daughter who were into meditation, and curious about how apps work. We worked together every step of the way - from writing and recording the meditations, to drawing the icons. It took us more than 2 years in our spare time ... and here it is! 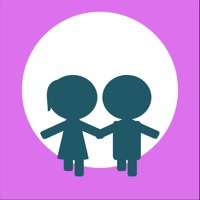 Visit us at www.MaddiesWorkshop.com to learn more about how we made the app, mindfulness meditation, what we are planning to make next, and more.